I am one of the few grown-ups that still drinks milk with every meal. My trademark of over 25 years is the blond streak in my hair. I’ve been a tomboy since age 4 when I picked up my first basketball. Although my whole life revolves around motorcycles, you will still catch me shooting hoops daily when the weather is nice out. 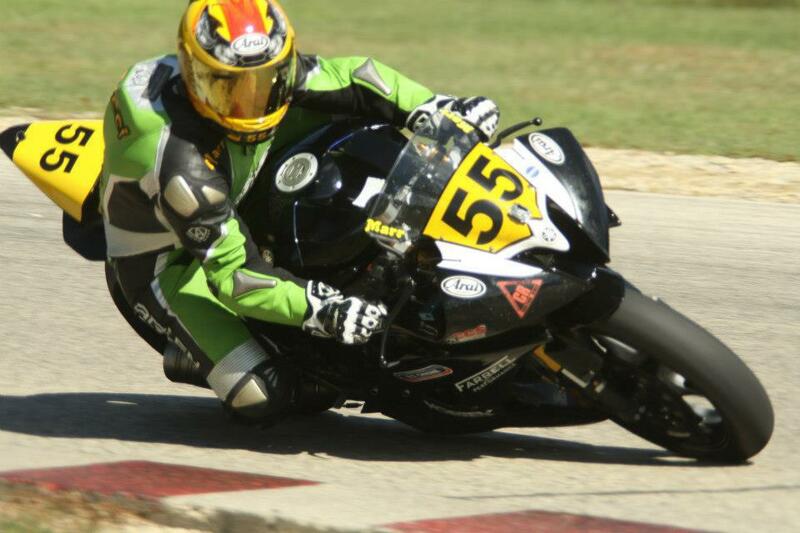 My husband, Jason Farrell, and I own and operate a high-performance motorcycle shop surrounded by race & track bikes. But when we aren’t at our daily grind, you will find me sporting #55(5un5hine) on the race track as a roadracer for CCS. This is my passion, so I don’t expect to be on the podium after every race, I’m just thrilled that I get to partake in all the buzz. I get just as excited when I swing my leg over my bike as I did my first time on the track. RAWR! I get super energized when I see a fellow female on a bike and I definitely like to challenge the boys when(if) possible. In addition I am a Certified Motorcycle Instructor/Rider Coach with MSF. Safety is a big priority for me, so I am ASMI/SOS & CPR Certified and am religious about having proper gear. Believe it or not, I am also a retired runway/print model and retired Corporate America Executive. Even though I am a tomboy for life and love my jeans & hoodies, you will still find me being a girly-girl, especially as Jason’s Umbrella Girl at the AMA races. There are lots of ways of going green, so my contribution to the environment is my GREEN ZX6R. I am married to and ride side-by-side with my husband, AMA racer, Jason Farrell. We became husband & wife on the start/finish line at Blackhawk Farms Raceway where we first met. He is the most amazing person & racer I personally know and continues to be my rock & mentor on the track. Couples that ride together stay together 🙂 I also won my first CCS Midwest Championship in 2013 for Femmoto. Once upon a time I spent my first day on the track so I know how scared & excited I was. My mentor and first track coach was our very own, Harry Wirth. I never looked back and now I get to coach side-by-side with him. So first and foremost, relax and have FUN! Listen to your coach, but please don’t go into sensory overload. Concentrate on one thing at a time. Don’t be afraid to approach the staff or ask questions. Never ride above your head. As with everything in life, practice makes perfect.